No spoilers for Logan, out this weekend. My love for Laura Kinney, known in comics as X-23, borders on unexplainable. When I was a kid, Wolverine eventually replaced Spider-Man as my favorite character, or at least the character I collected primarily. But Wolverine is the clearest case of “I liked him better when I was a kid” that I have in comics. I still have an appreciation for that Chris Claremont version of Wolverine, but he’s never been the same for me since. So I find it more than a little bit weird that X-23 has become a character I care about so very much. Most superhero movies are flawed approximations of the comic book characters, at best. I love the Avengers franchise, but there’s always going to be a bit of a “real people wearing Halloween costumes” aspect to them for me. (Incidentally, this is the primary reason why Alex Ross is the worst superhero artist ever. Very talented, but he makes them look so mundane that it’s distracting.) That’s why my favorite depictions involve costumes that still look like the comics in real life, like Deadpool, Iron Man, or Spider-Man. Chris Evans has done the best possible job of depicting Captain America (and may even be Captain America in his real life) but there’s always going to be that tiny part of me that can’t block out that its Evans wearing a Captain America mask while watching the movies. However, Robert Downey Jr.’s portrayal of Tony Stark has been so compelling that it’s changed the comic character to match it. The best movies can usually hope for is when they get the spirit of the character right, which is what Marvel Studios usually does very well (and the DC movies have failed miserably at). 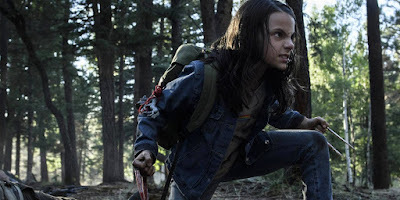 All of this is to say that Dafne Keen as Laura in the Logan movie is one of the purest and best embodiments of a superhero character ever depicted on screen. All of the ruthlessness and intimidating ferocity is there, along with the vulnerability and naivete that comes with being a young girl, especially one raised in captivity. Every scene between her and Hugh Jackman’s Logan is captivating. So much so, that anytime the movie decides to do anything else, it suffers by comparison. (My quick review, like most X movies, it tries to do too much, instead of focusing on what it does great. But overall, still a solid B, maybe even an A.) The first time Laura pops her claws and cuts loose with an angry but anguished screech, I had a visceral emotional reaction. It was X-23 on the screen. It was her, not an actress playing her, but her. The goal of movies, and all entertainment in a larger sense, should be to stimulate you intellectually, emotionally. As sophisticated as the writing on superhero movies has become (or tried to be) it will still always be the moments that make me feel something that stand out. That comes from performance more than writing (or probably more accurately, a combination of the two). The first and most profound time this happened was following the first Spider-Man movie, where I was so inspired and energized by what happened that it re-ignited my love and interest in comic books (some might argue that is a negative reaction, and they would be very right in a financial sense). 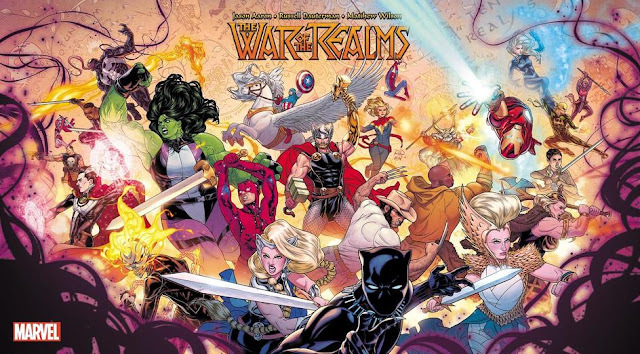 Another time this happened was after I watched the first Avengers movie, when I was so surprised by how good it was, and so happy that they executed what was, at the time, something that had never been done before, that I nearly started crying tears of joy while driving home. I was overseas at the time, so I saw the movie a week before anyone else I knew. That was the hardest time I’ve ever had not being able to talk about a movie. The most wrenching emotional reaction I’ve had during a movie was the death of Gwen Stacy in Amazing Spider-Man 2. The Death of Gwen Stacy has been my single favorite comic book story since the first time I read it (30 years ago, give or take). Seeing a version of it play out on the big screen was gut-wrenching and indescribable, and made all that much worse by Emma Stone’s delightful depiction of the character. It’s the only comic book movie that I (mostly) enjoyed in the theater that I have not watched again since. Other comic book adjacent movies that sparked intense feelings in me were Transformers and Star Wars: The Force Awakens. Both accomplished pretty much the same thing, speaking directly to the child inside of me that has never completely gone away, but becomes so much more precious the older I get. They both made me feel like a kid again, and that’s probably the top goal of any franchise like that. Outside of drawing in new young fans, that is. And yes, I know the Transformers movies as a whole are abominations now, but you can’t tell me that first one wasn’t a great time in the theater originally. Finally, the last emotionally affecting moment I’ve had watching a superhero character come to life is one that isn’t even out yet. Marvel released a 3 minute clip of Colleen Wing in a cage fight from the upcoming Netflix Iron Fist series, and I may have watched it 10 straight times. Iron Fist and Colleen Wing are certainly on my top 10 list of all-time favorite comic book characters (a list that probably has 20 characters on it). Here’s hoping the show delivers on the promise of that short clip, and I have another performance to cherish for making me feel like a kid again.